Today I did the final activity of the holiday blogging challenge. For this activity, we had to create a Ven Diagram. 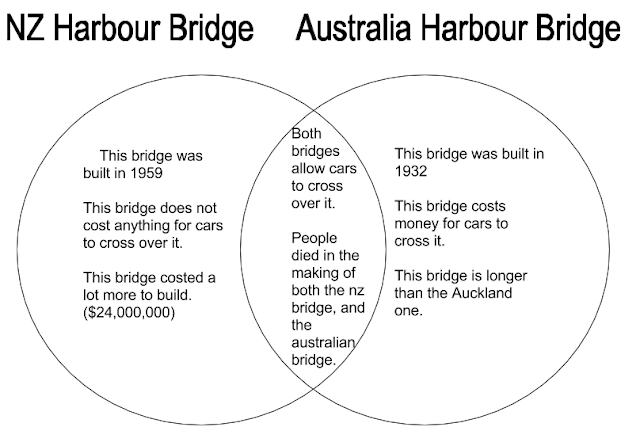 Our Ven Diagram needed to show the differences between the New Zealand Harbour Bridge, and the Australian Harbour Bridge, and in the middle, show the similarities. Hey Jack I really like your Venn Diagram and the the things you have decided to list on it. I also like how you linked the sites from you got your facts from. Your blurb for this blog post is very simple but enough for people to understand what you blog post is about. Awesome job! Great job on finding all of these awesome facts! Although, did people really die whilst making the bridges? And also why do you think that the Sydney harbour bridge charges a toll? Great work on doing this! I like how you DLO is basic and simple. I think you should add bullet point or number to your sentence. I enjoyed reading all your holiday blogging posts and chose to comment on this one because the facts you have included in your Venn Diagram are interesting. I can remember a long time ago when we crossed the Auckland harbour bridge we also had to pay tolls to use it. Don't forget to proof read your DLO to make sure you have checked the alignment and your tenses. 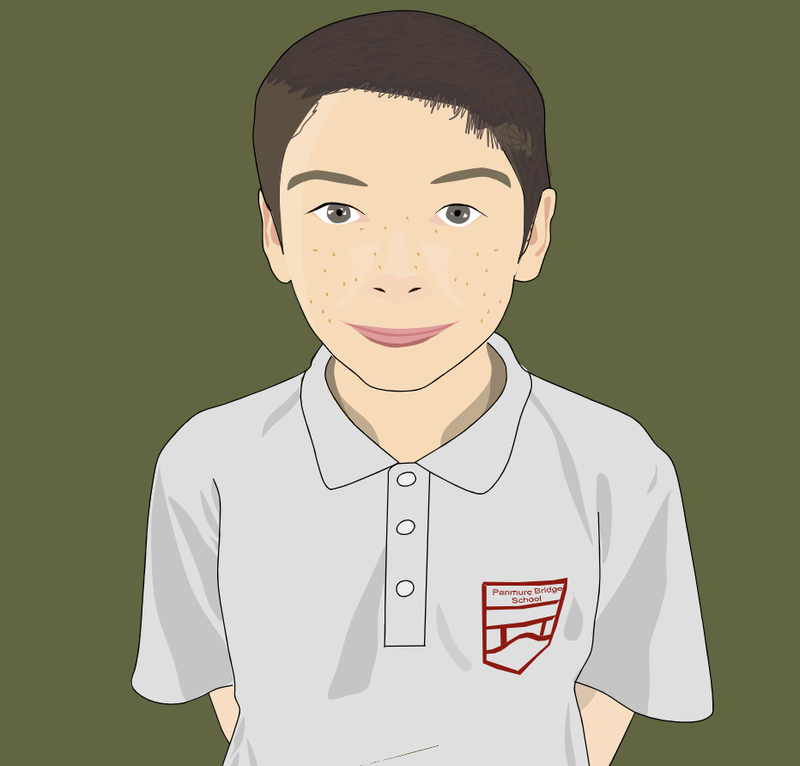 Great job on completing all of the PBS Blogging Journey posts Jack. How did the people die creating the bridges? Keep up the amazing work. Hi Jack. You have done an excellent job on completing the entire PBS Blogging Journey. I really like your venn diagram because the facts you have provided are very interesting. I also found having to pay a toll to cross the Sydney Harbour Bridge interesting.